Supreme Court Justice Sonia Sotomayor speaks at a civics event in January in Seattle. 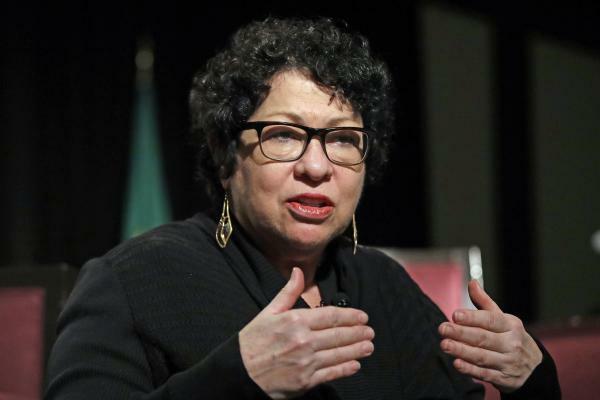 Sotomayor wrote a scathing dissent about police shootings Monday. They said Hughes appeared calm, but when she failed to acknowledge the officers' presence or their twice repeated order to drop the knife, one of the three officers opened fire. 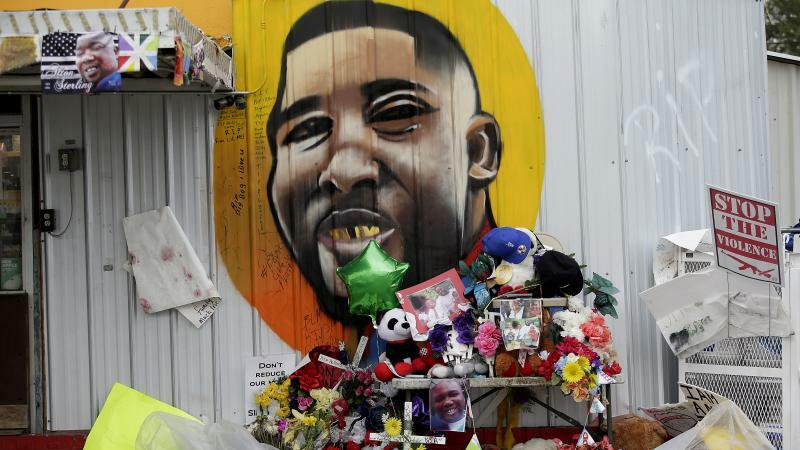 There are so few reliable statistics about police shootings, however, that in 2015 then-FBI Director James Comey called the situation "embarrassing and ridiculous." The Washington Post has compiled the most complete database on fatal police shootings, reporting that in 2015, there were 995 fatal shootings, in 2016, 963, and in 2017, 987. In each of these years, roughly 1 in 10 of the fatal shootings involved a person who was unarmed or not known to have had a weapon. As to those who survive police shootings, again, there is no official count by any government agency. And no comprehensive count by news organizations either. VICE News has done a data analysis of the nation's 47 largest police departments. Although the data are not comprehensive, they cover 148,000 police officers in 47 police departments serving 54 million people, and it is the best count to date of those who were shot by police and survived. According to the data, 2,720 people were shot by police and survived from 2010-2016. Of these, 20 percent were unarmed, and in an additional 8 percent of the cases, the departments didn't say whether the subject was unarmed. About half the shootings took place when police encountered a subject with a gun, and an additional 20 percent involved subjects with a knife or some other weapon — subjects like Hughes, the woman whose lawsuit was tossed out by the Supreme Court on Monday. The court's decision came without ordering full briefing or argument, a rare step indicating that the majority thought the case easy to decide. The unsigned, eight-page opinion said that under clearly established law, "the reasonableness of a particular use of force must be judged from the perspective of a reasonable officer on the scene, rather than with the vision of 20/20 hindsight," and the court reiterated that the "calculus of reasonableness" must allow for "the fact that police officers are often forced to make split-second judgments — in circumstances that are tense, uncertain, and rapidly evolving ..."
Even if the shooting in the Hughes case did amount to excessive force — "a proposition that is not at all evident on these facts," the court said — the officer who shot Hughes would still not be liable. Under the court's "qualified immunity" doctrine, said the court majority, the officer would be immune from any lawsuit because his conduct did not violate "any clearly established statutory or constitutional right" that "a reasonable person could have known" about. This is not the kind of case that the Supreme Court normally disposes of without briefing or argument, contended Sotomayor. "The relevant facts are hotly disputed" and the question of immunity in these circumstances is, "at the very best, a close call." Yet instead of letting the case go to a jury, the court has "intervened prematurely, purporting to correct an error that is not at all clear." The court's "unwarranted" overturning of the lower court's decision in this case, she said, is "symptomatic" of a "disturbing" and "one-sided" approach to excessive force cases, where police are almost always protected and the victims of excessive force have little to no recourse. In the hands of the current court, she charged, the doctrine of limited immunity for police is being transformed into "an absolute shield for law enforcement officers." The court, she concluded, is not only "wrong on the law"; it is sending "an alarming signal" to police and the public alike. It tells police they "can shoot first and think later," and it tells the public that "palpably unreasonable conduct will go unpunished." 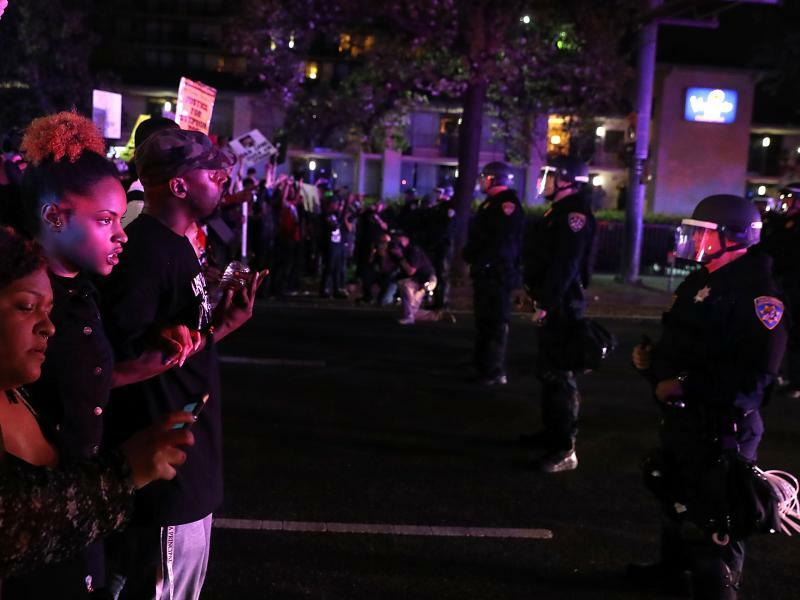 The U.S. Supreme Court stepped into the bitter turmoil over police shootings this week. By a lopsided 7-2 vote, the court ruled an Arizona police officer is shielded from being sued for shooting a woman in her own front yard. NPR's legal affairs correspondent Nina Totenberg reports. NINA TOTENBERG, BYLINE: The court said the police officer acted reasonably given that the woman, Amy Hughes, was carrying a large kitchen knife, that she was standing within striking distance of another woman in her driveway who, unbeknownst to the police, was Hughes' roommate, and that Hughes failed to drop the knife when ordered to do so. 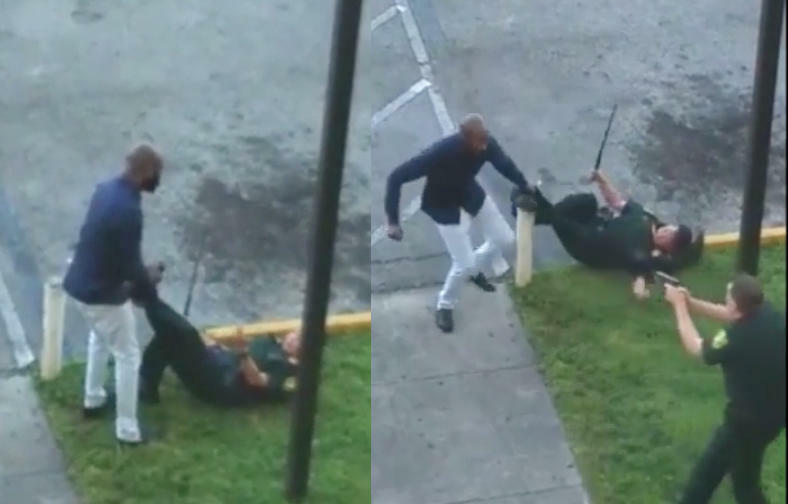 The Supreme Court threw out Hughes' lawsuit, saying the shooting was reasonable based on what the policeman knew at the time and the split-second nature of the decision he made. Indeed, even if he did use excessive force, the justices said, he can't be sued because he didn't violate any clear constitutional or statutory right. The court's dissenting justices, Sonia Sotomayor and Ruth Bader Ginsburg, leveled a blast of their own. Writing for the two, Sotomayor observed that Hughes was nowhere near the police officers, had committed no illegal act, was suspected of no crime, did not raise the knife towards anyone, and may not have heard the command to drop the knife. Indeed, while there were three officers on the scene, only one fired his gun. The dissenters charge that by tossing the case out of court instead of letting it go to a jury, the Supreme Court is telling police they can shoot first and think later. And it's telling the public that palpably unreasonable conduct will go unpunished. There are few reliable statistics about police shootings, whether questionable or fully justified, so few that two years ago then-FBI Director James Comey called the lack of data embarrassing and ridiculous. The most complete statistics about fatal police shootings have been compiled by The Washington Post. The paper's national database shows there are just shy of 3,000 from 2015 through 2017. When it comes to shootings that wound but don't kill like the Hughes case, however, there are no reliable national statistics, though Vice News has compiled a database for the nation's largest 47 police departments. Nina Totenberg, NPR News, Washington.